Height: 26 cm - 10 1/4 in. 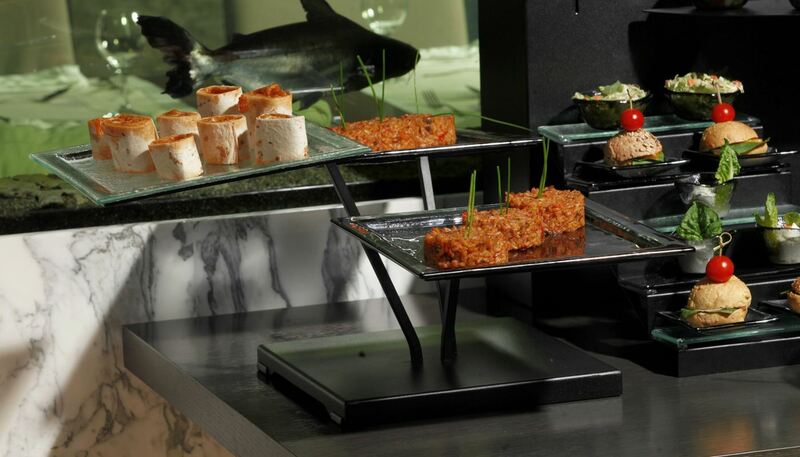 Plate buffet display riser fitting 3 big square glass plates (28 x 28 cm – 11 x 11 in ). This stackable buffet riser consists of two parts which can be separated to help storage: base and body. The base has rubber coverings to avoid sliding. 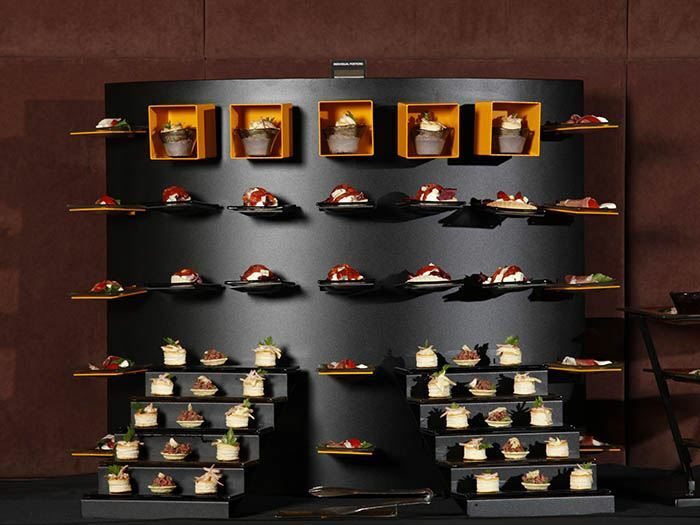 It’s ideal for: Dessert presentation, Canapes/fingerfood, Sliced fresh fruits, Sushi, Individually packed jam. 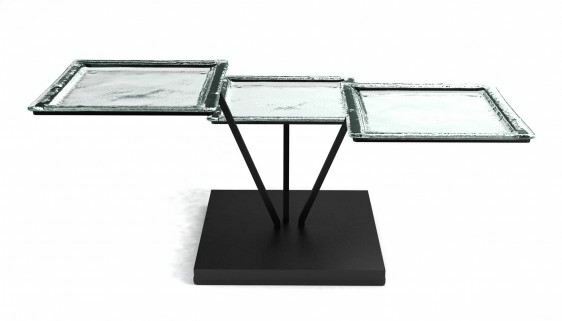 Each set includes 2 risers and 24 glass plates.